Deborah has come a long way from her days when “I did badly in school and had no direction in life. I had a lot of red marks in my report card but my parents did not bother about that”. Not only did she surprise everyone with good PMR, then SPM, results but got herself a scholarship from The Star to pursue a diploma in Early Childhood Education at the Methodist College Kuala Lumpur. She is also a recipient of the Elena Cooke Education Fund which pays for her living and book expenses. Spurred on by her grandparents. “I want to make my grandparents proud of me,” said Lee Yin Sim who was left in the sole care of her maternal grandparents in Sungei Siput, Perak, after she was born. Her parents are separated and her father, a cook, has a new family with him in Selangor, while her mother is a general worker in an orchard and sometimes sells fruits and juice in the night markets. An elder brother is in a care centre for the mentally challenged. Yin Sim has declared that she will later take care of him once she is able to. “My grandparents really love me and want me to continue my education. 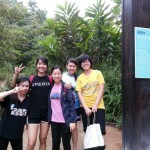 They are struggling financially for me,” Yin Sim wrote in her application form. This determined girl did not let her circumstances deter her from studying hard and attaining 7As in her SPM. She was clear she wanted to be in the hospitality industry. 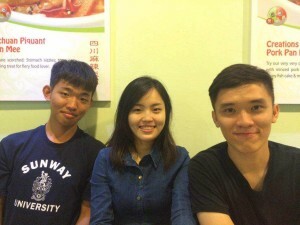 So, while waiting for her SPM results, she came to KL/PJ and found work in a Chinese restaurant. 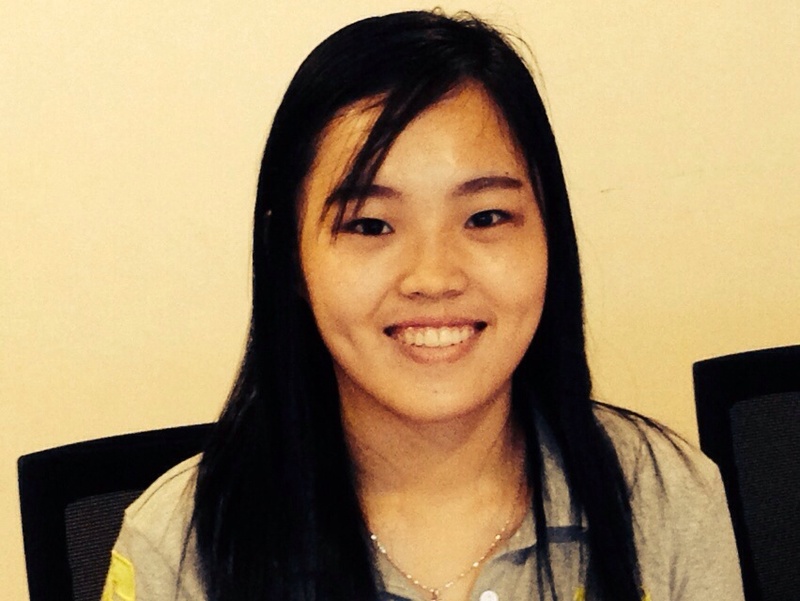 Yin Sim, who started her course on 12 May 2014, says she is enjoying college life at KBU. Yin Sim is our ECEF scholar who is pursuing a Diploma in Hospitality and Tourism Management at KBU International College. Clearly determined to make the most of the opportunity given to her by the Elena Cooke Education Fund scholarship, and consistent with her good results in the SPM where she scored 7A’s, Yin Sim achieved excellent results in her exams in KBU, scoring a CGPA of 4.0 in her 1st semester and 3.85 in her 2nd semester. She told us that she likes the course, and has learnt many things that will be useful for her future career – such as cooking, how to deal with guests, how to design a tour package and how to organise an event. 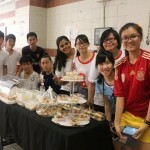 Here are photos of Yin Sim and her course mates during some of their classes/events. Yin Sim is our ECEF scholar who is pursuing a Diploma in Hospitality and Tourism Management at KBU International College. She has been working very hard and once again has done well in her 3rd semester exams, scoring a CGPA of 3.9 (she achieved a CGPA of 4.0 in her 1st semester and 3.85 in her 2nd semester). Mok Jia Huai wants to be a “successful journalist” so that she can “write articles that inspire others to support the poor and needy”. Left in a residential children’s home since the tender age of 8 years after her mother passed away and having little or no knowledge of her father, Jia Huai has had to grow up all by herself, with only the other children/youth in the home and the staff as her “family”. With few of the advantages that middle class kids have, like computers and private tuition, she saw how “my seniors struggled to get into college” and was determined she would be disciplined in her studies and not miss any opportunities that would help her fulfill her dreams. When she found she was one of the two who won a ECEF scholarship to do Mass Comm in KBU, she was ecstatic. Jia Huai says she is adjusting well to this new phase in her life. 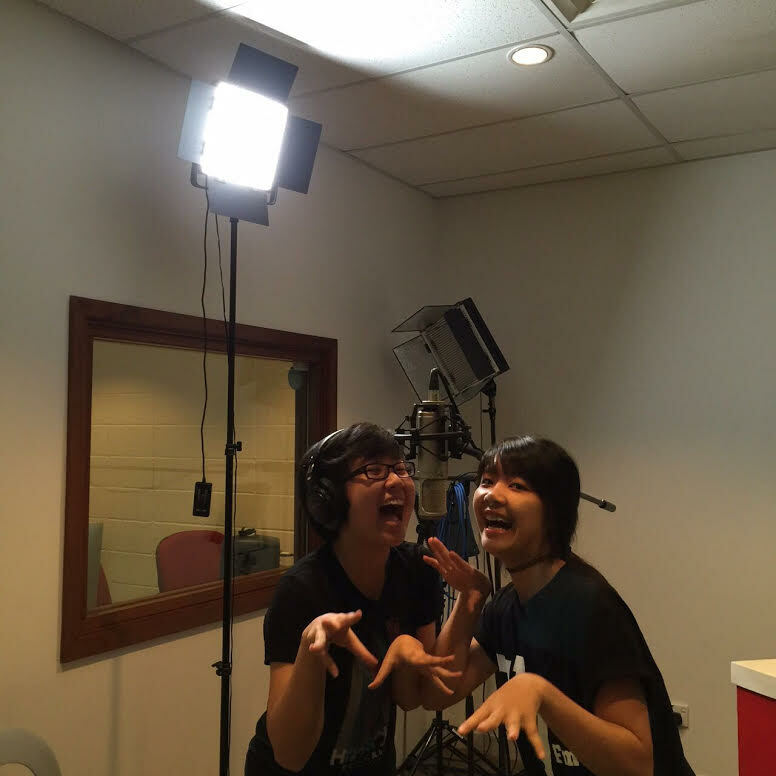 One of the modules in her first semester is Photography and she says she had a lot of fun doing an assignment in Petaling Street with her team mates as they switched roles in being camera man, lights man and model. 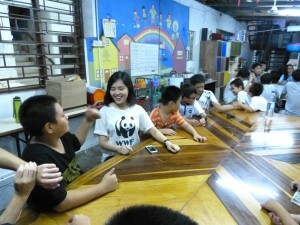 Jia Huai is also taking extra lessons during her spare time to improve her English competency. However, she has found a couple of subjects challenging – particularly one where a good memory is required. She confesses that she finds it difficult to memorise things. In her 1st semester, she scored a CGPA of 2.79 and in her 2nd semester, 2.92. 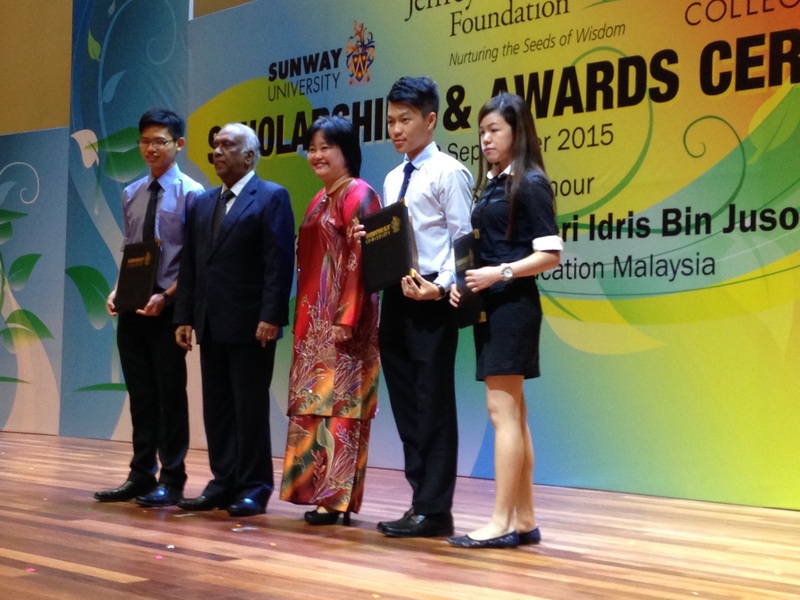 Lim Kah Meng knew exactly what he wanted to do when he finished his Form 5: CAT and only at Sunway College. He would be the first in the family of 4 boys to go to college if he succeeded. None of this would have been possible with his father’s unpredictable income as a taxi driver (estimated average of RM2,000 per month), a housewife mother and three other brothers still in school. In their little flat, his bed was (and still is) the couch in the living room. Despite that, with determination and sheer hard work, he scored 10As in his SPM. “My father tries to give his best to us but his salary is not enough to cover our expenses. 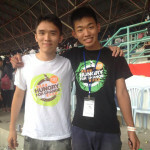 If I can get the scholarship, I will decrease my father’s stress,” Kah Meng wrote in his application form. 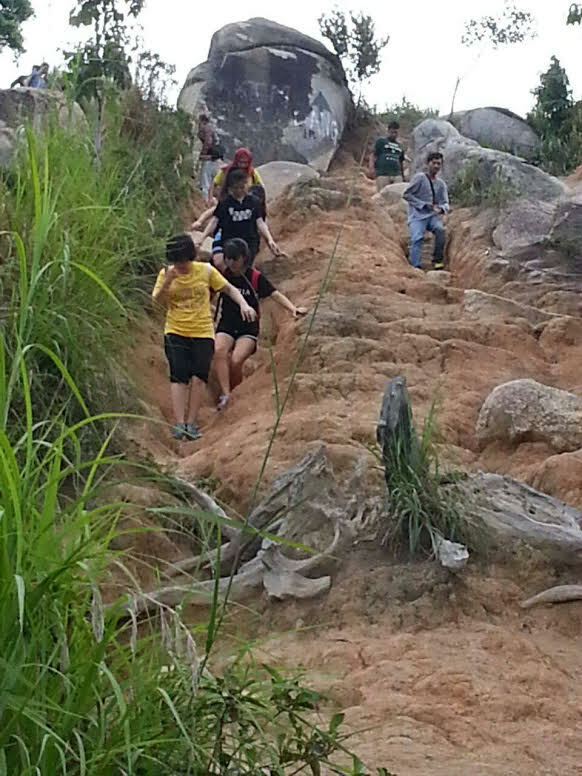 Life dealt an unkind blow when Kah Meng’s father died from a heart attack at about the same time as the news on him being awarded the 2014 ECEF scholarship reached him when he was serving in National Service. Even though he is not here to celebrate with Kah Meng, his father would have been glad this second son of his is able to continue his studies in the college and course of his choice. Kah Meng has been doing well in his Certified Accounting Technician course in Sunway – he passed all his papers during his exams in December 2014, achieving scores as high as 98, 96 and 94 in 3 papers and scores in the 70’s and 80’s in the other 3 papers. 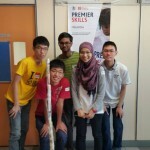 At the same time, Kah Meng seems to be integrating well into College life – he went with his coursemates to Malacca for a study trip and also participated in a competition, called the Premier League Enterprise Challenge. 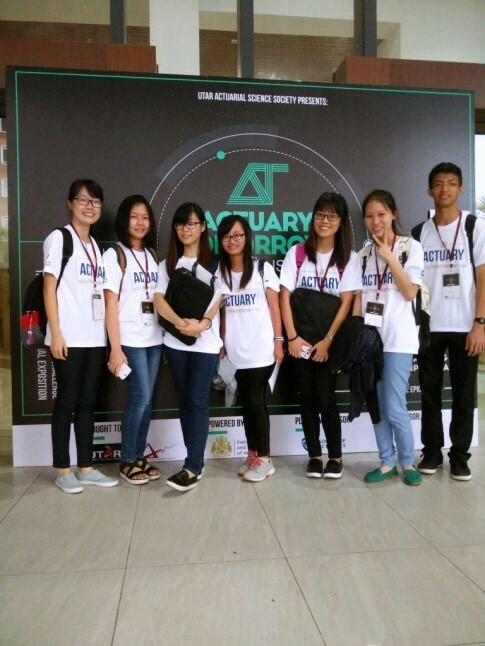 In this competition, students form teams of 5 participants each, where they are required to develop a business plan based on a topic which is given during a workshop. 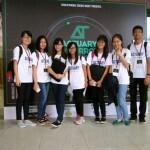 The objective is for them to jointly develop a variety of business skills including problem-solving, creativity, innovation, team-work and enterprise. 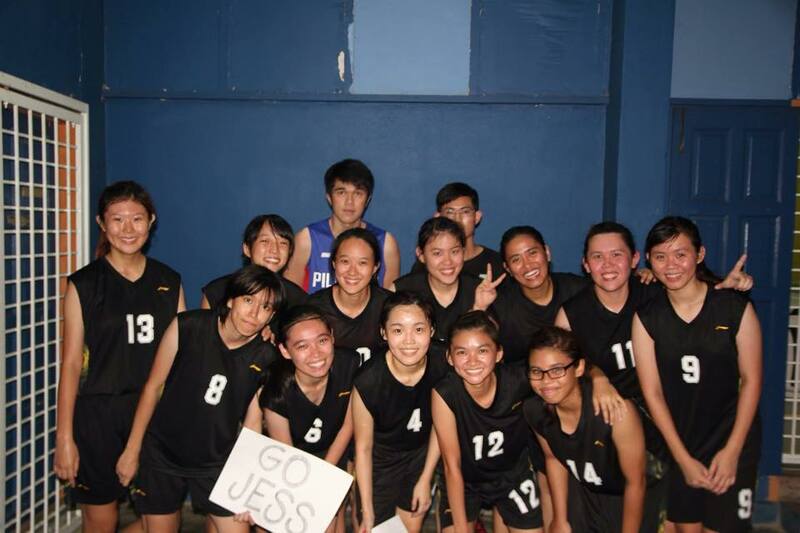 His team did not win, but surely he would have found that merely participating was itself a valuable experience. Lim Kah Meng, our ECEF scholar who achieved Top in the World marks for one paper in the December 2014 Certified Accounting Technician exam, has passed all his papers and has successfully obtained the Certified Accounting Technician qualification. 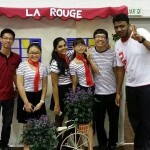 He has gone on to the next phase of his studies, commencing his ACCA course at Sunway College in July 2015. Taking into account his neediness and also his fine academic record, Sunway has awarded him a Jeffrey Cheah Foundation scholarship which takes care of his fees. The Elena Cooke Education Fund is financing his living expenses and books. 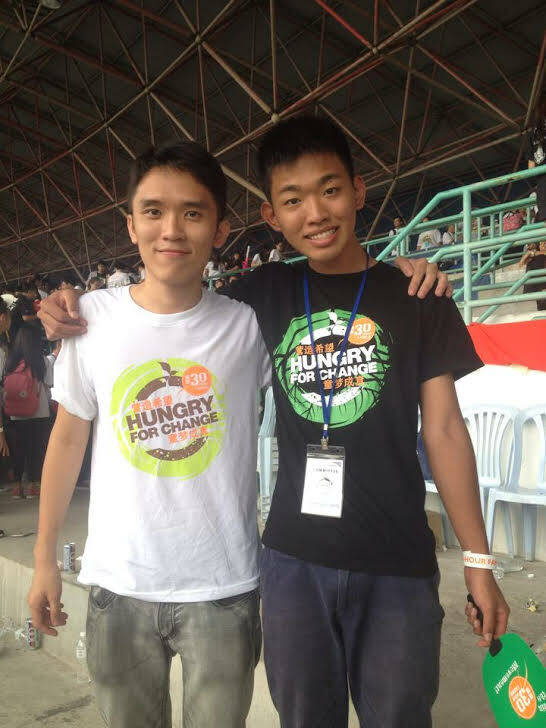 One of the photos is of our two ECEF scholars, Wai Kin and Kah Meng, as members of the Sunway organising committee for the 30-hour famine project. 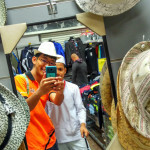 The other photo shows Kah Meng with a young boy – Kah Meng was a volunteer in a community service project helping needy children with limited budgets to buy things for Hari Raya. 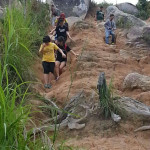 Phan Wai KinNothing is impossible! After getting not a single A in PMR, Phan Wai Kin resolved to “change myself” to do better in his studies. 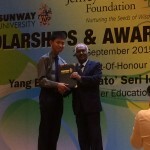 He focused and was rewarded with 8As in SPM. He then went on to do Form 6 as it was the “cheapest way to further my studies” and scored 4As in his STPM. 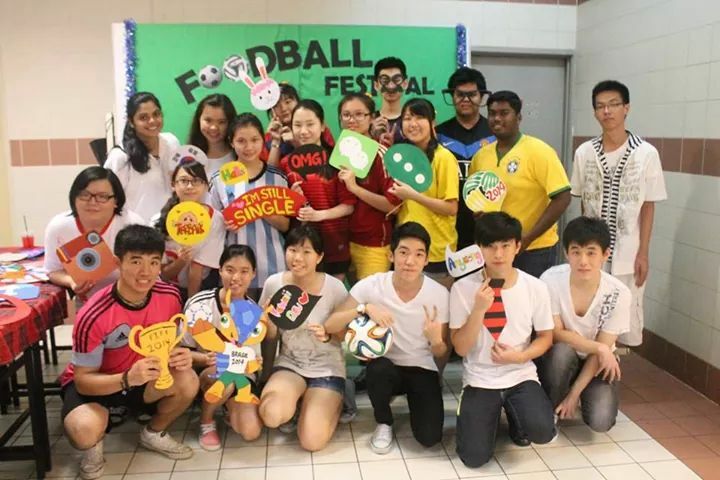 Active in a range of co-curricular activities from volleyball and the Red Crescent Society to his school’s Editorial Board, Wai Kin also served in National Service and is a regular blood donor. 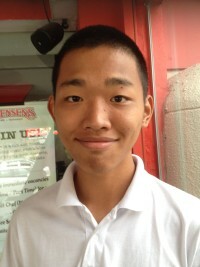 While in secondary school, Wai Kin worked weekends as a waiter. Once, he was a sales promoter during school holidays. Through these short stints that earned him pocket money, he learnt how to relate to and communicate with people. 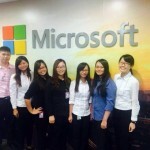 After his STPM exams, he worked in an accounting firm to gain some experience in the accounting field. 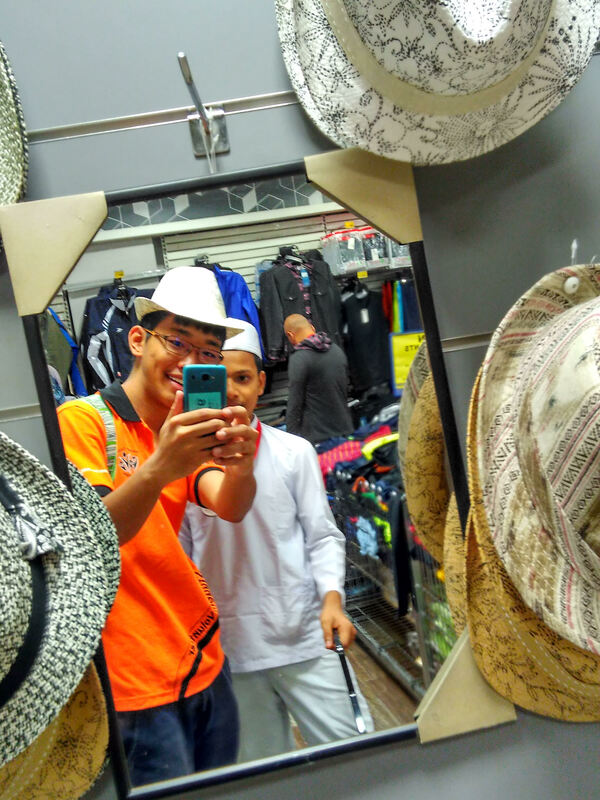 The younger of a pair of twin boys, he was conscious that his father’s salary (less than RM2,000 per month) as a shoemaker in Ipoh would not be enough to see him and his brother through university or a professional course like ACCA – which was what he had set his sight on. 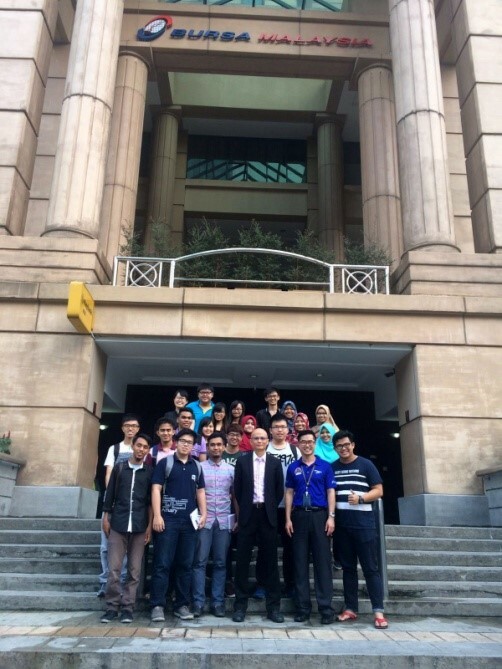 So, when he won the 2014 ECEF scholarship to pursue ACCA at Sunway College, he felt happy and grateful. “All the hard work has paid off,” he declared. 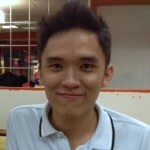 Wai Kin says he likes the lecturers and facilities such as the library at Sunway. 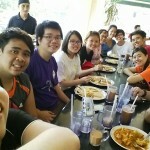 Of course he misses his parents and Ipoh’s “awesome” food! 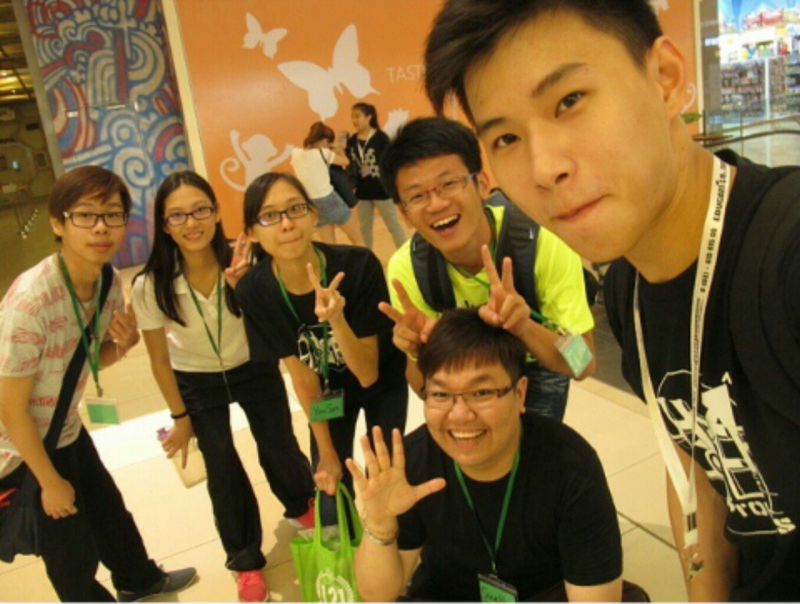 Phan Wai Kin started his ACCA course at Sunway College in July 2014. He sat for 3 papers in his course in December 2014 and came through with flying colours, scoring 81%, 88% and 98% in the final exams. 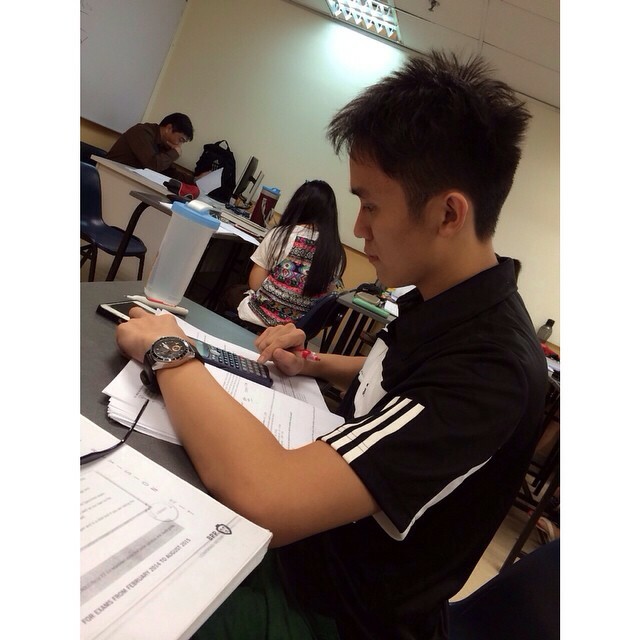 In the next semester (January – June 1015), he will study and sit for another 3 papers. Looking at his good track record, he seems bound to do well again. 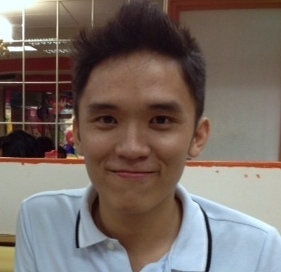 Phan Wai Kin started his ACCA course at Sunway College in July 2014. He sat for 3 papers in his course in December 2014 and came through with flying colours. In June 2015, he sat for another 3 papers and passed all of them, achieving good marks in the process. He is now in his second year of the ACCA course. Olivia had a rough start in life, with problems in the family. Eventually, Olivia, then 11, her mother and her sisters, then aged 9, 4 and 1, were forced to leave their home. Together with Olivia’s partially retarded uncle, her widowed aunt and her aunt’s 2-year old son and Olivia’s grandparents – all together 10 of them – they found their way to a Christian welfare home for underprivileged children and single mothers. Olivia’s parents were divorced in 2011 and the following year, her mother married a pastor who runs an independent church in Kajang. Her new father has adopted Olivia and her siblings as his own. It would appear that the pain she has endured so far in her young life has only motivated Olivia to work harder at her studies. She scored 7As in her PMR and 9As in her SPM despite having no private tuition as there was no money for that. 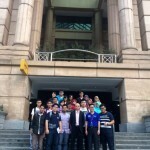 With the help of someone who initially agreed to sponsor her, she was encouraged to enrol for the Certified Accounting Technician course at Methodist College Kuala Lumpur in January 2014. She is determined to excel in the hope that she will secure a brighter future for herself and her family. As Olivia’s father’s income is unpredictable and insufficient to fully support her, the Elena Cooke Education Fund has recently given Olivia a partial scholarship to help pay for CAT examination fees and an allowance for travelling, lunch and the purchase of text-books. 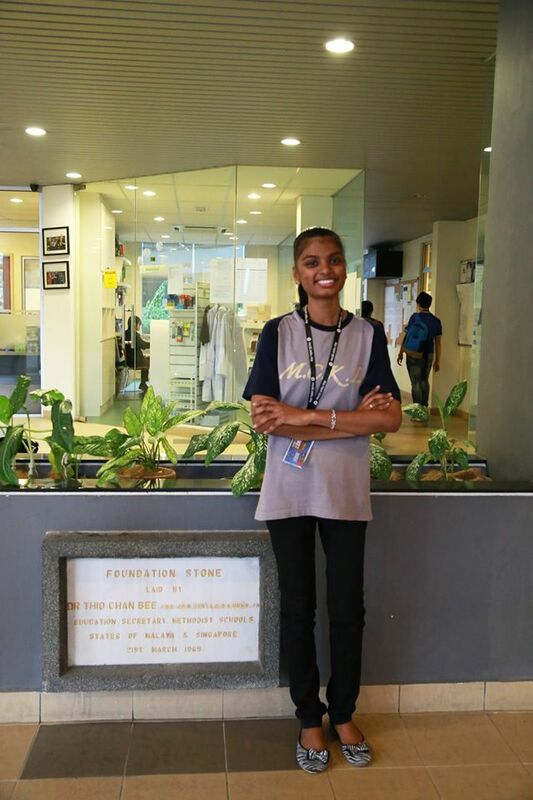 Olivia Francis recently completed her Certified Accounting Technician examinations in Methodist College Kuala Lumpur and has been told that she has secured an Amcorp Study Grant for her to study for the professional ACCA course – the next step to becoming a full-fledged accountant. She had been advised by Ms Moey to apply for this Grant which will cover her tuition fees, examination fees and living expenses. 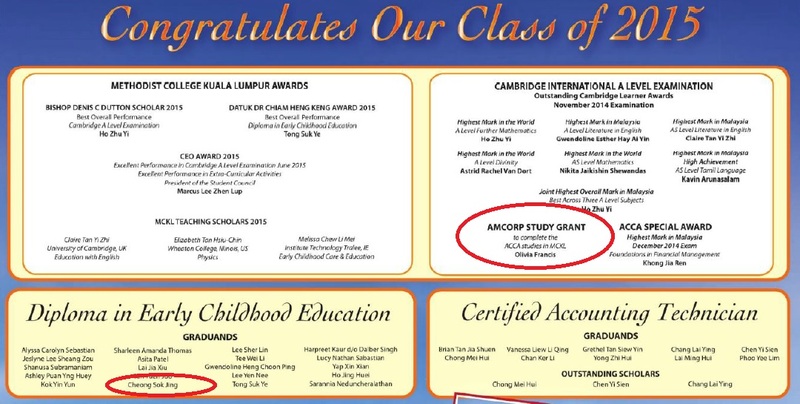 On successful completion of the course, she will be bonded to Amcorp for 3 years. We can all be happy for her that her dreams are already starting to come true, and be glad that the Elena Cooke Education Fund played a part – to give her that headstart that helped her on her way! 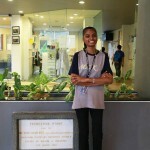 Olivia Francis, who has completed her Certified Accounting Technician course and is now pursuing the ACCA course in Methodist College KL with assistance from an AMCORP Study Grant. 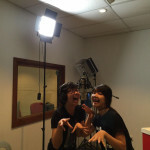 Sin Yee – the small town girl with a big dream. Khor Sin YeeSin Yee the small town girl with a big dream. 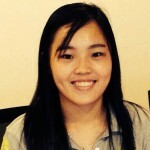 Khor Sin Yee received our Elena Cooke Education Fund scholarship in October 2014. She was unable to attend the BBGBS 121st Anniversary dinner on 11th October 2014 due to a compulsory activity organised by her University. 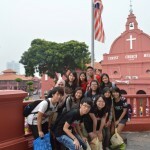 Sin Yee’s home-town is Teluk Intan. Her father is a lorry-driver, earning only RM1,000 per month; her mother is a housewife, and there are another 2 younger siblings. Teluk Intan being a small town, her father has had to work away from home, in larger towns like Kuala Lumpur and Ipoh where there is more opportunity of regular paying work. During her school holidays, Sin Yee took on temporary jobs in Teluk Intan to supplement the family income. Despite her humble background (or perhaps because of it), Sin Yee has worked really hard and passed her SPM and Matriculation examinations with flying colours, scoring 8A+s and 2As, and 4As and 1A- respectively. 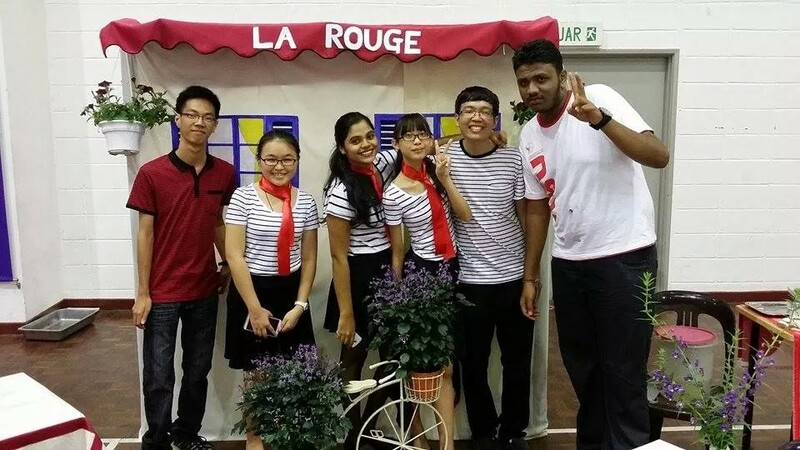 With those results, she gained entry into Universiti Kebangsaan Malaysia in Bangi to pursue a degree in Actuarial Science, her dream course, which commenced in September 2014. 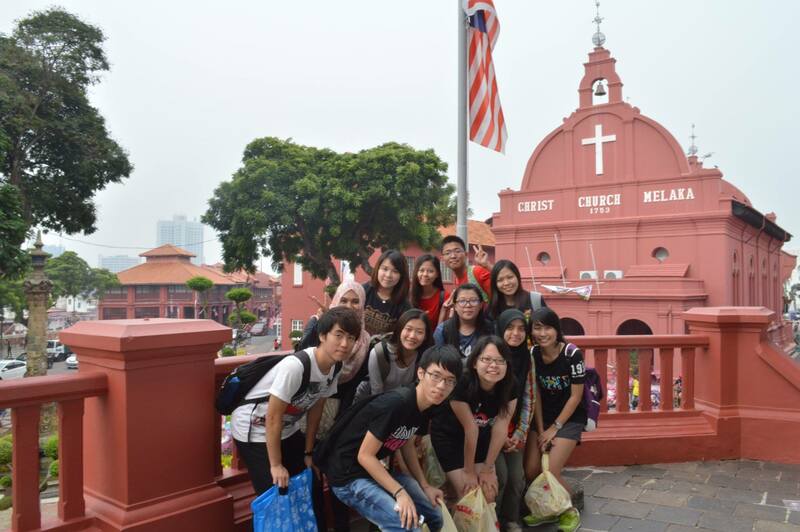 The ECEF scholarship covers Sin Yee’s tuition fees for the entire 3-year course, hostel fees and an allowance for living expenses. 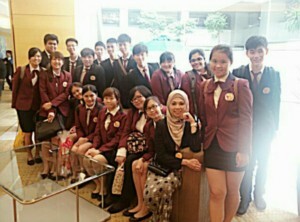 Sin Yee is in the back row, 5th from left. 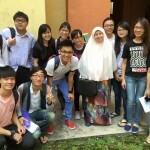 This is a photo of Sin Yee with coursemates and a lecturer. She is in the back row, 5th from left. 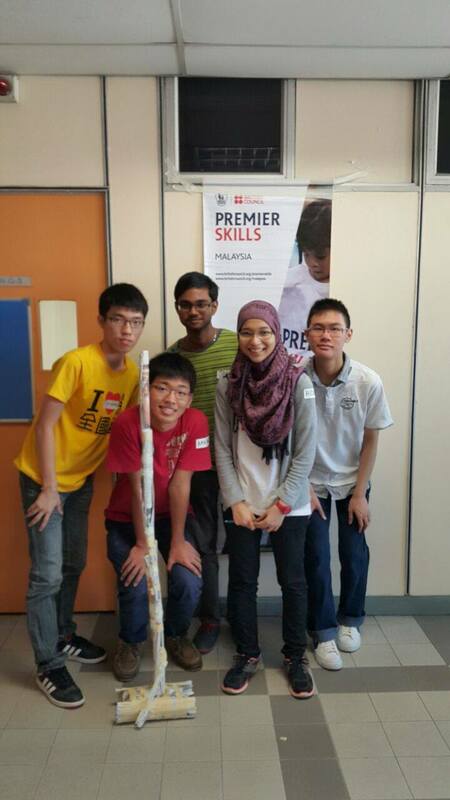 KHOR SIN YEE is pursuing a degree in Actuarial Science at the UKM and is due to finish her 3-year course next year. 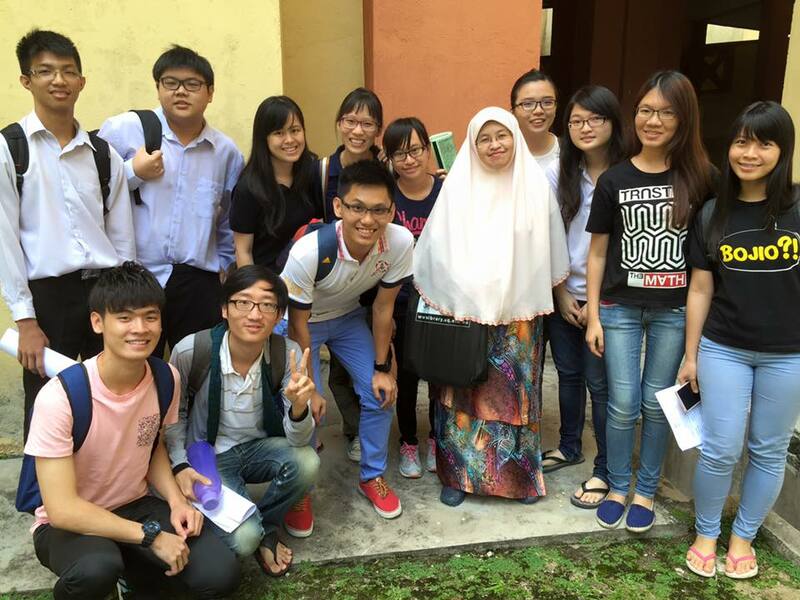 She has been achieving very good results – her GPA last semester was 3.96 and her CGPA so far is 3.82. 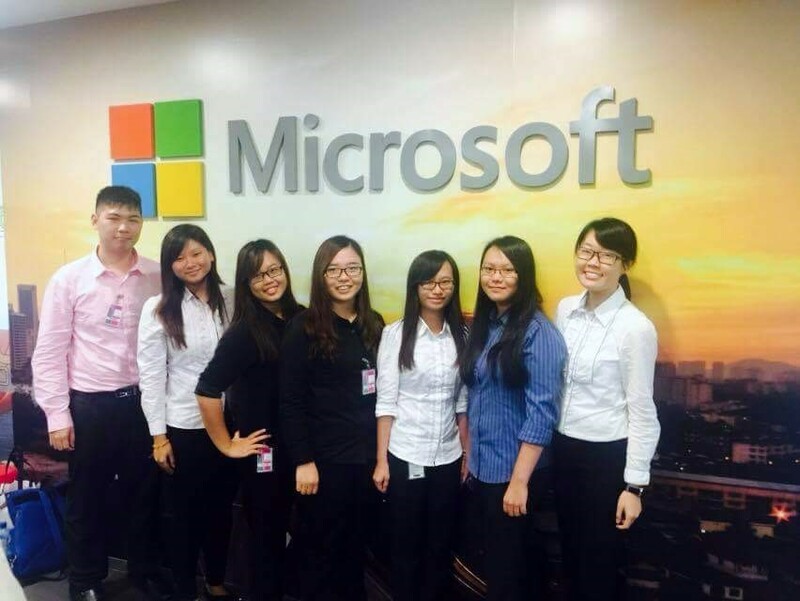 Last semester gave Sin Yee exposure to some new things – she attended a workshop in Bursa Malaysia, a 2-day UTAR “Actuary Tomorrow” Boot Camp, Bursa Young Investor Challenge and a study trip to Microsoft. 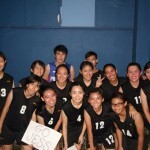 During her semester break, Sin Yee interned at an insurance company. It was an “extremely rewarding experience”. She said the internship opened her eyes to how an insurance company operates. She also picked up technical Excel skills as well as soft skills on time management and communication. Graduated with 1st Class Honours – so proud of you, Sin Yee! 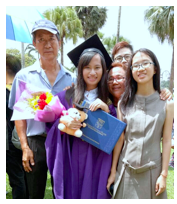 What a day it must have been for Khor Sin Yee’s family as they saw her graduate with a BSc (Hons) Actuarial Science degree from UKM, with First Class Honours. Her lorry driver father, housewife mom and 2 younger siblings came all the way from their hometown in Teluk Intan to celebrate her success on 28 Oct 2017. “My dream is to become a successful actuary. So, I can change my family’s life and give a better life for them. 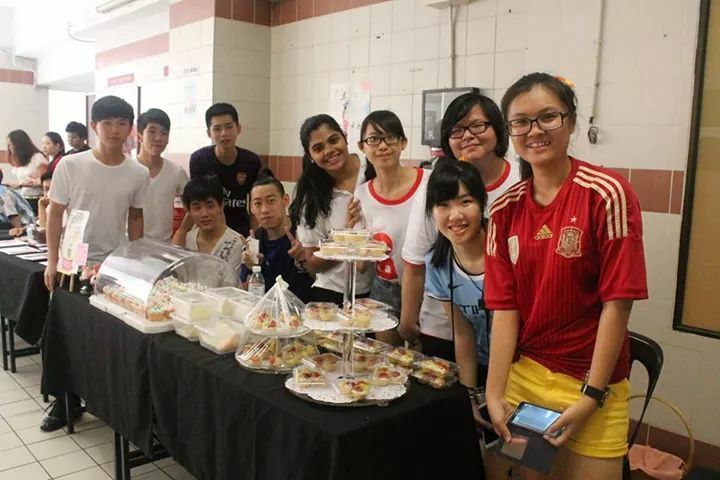 I do not want to see them burdened with financial problems anymore,” Sin Yee said when she applied for the Elena Cooke Education Fund scholarship in 2014. Throughout her 3 years at UKM, she almost always scored a CGPA of close to 4. As she looks for employment, and in the process help provide “a better life” for her family, we wish her the very best. 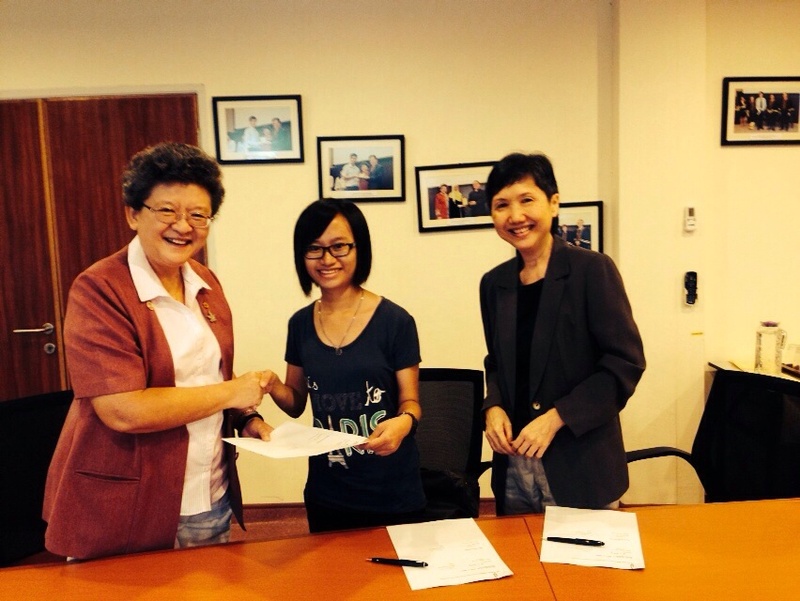 Sin Yee is our very first ECEF scholar to graduate with First Class Honours. May there be many more! 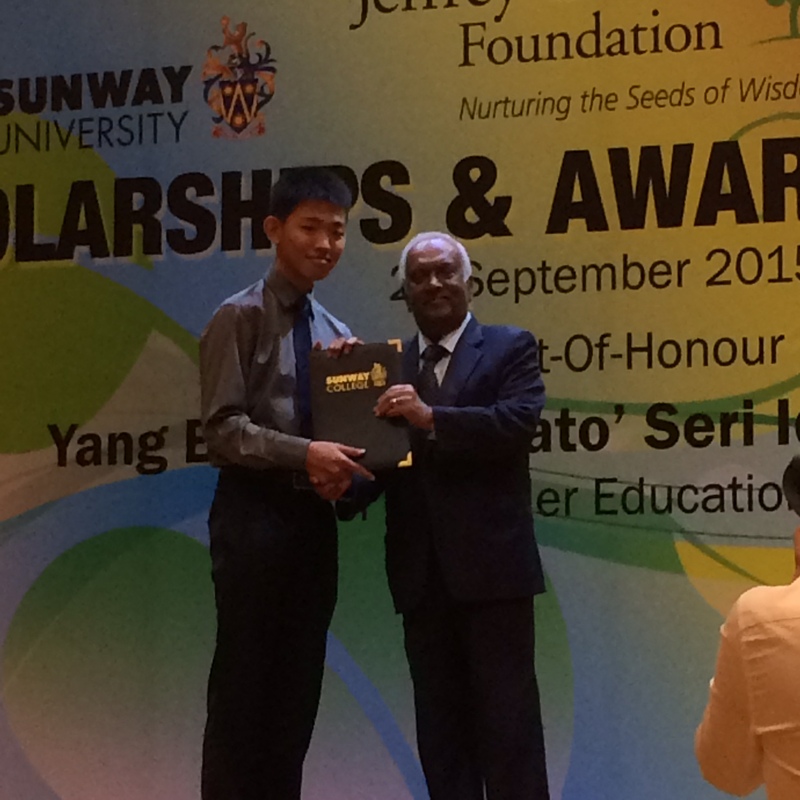 Azfar recently gave us the good news that he had been given a Malaysian Government Jabatan Perkhidmatan Awam (JPA) scholarship. That scholarship does not allow him to have any other scholarship, therefore the Elena Cooke Education Fund scholarship was terminated by mutual consent so that he can accept the JPA scholarship. “I want to say a big thank you for the kindness alumni BGS limited for giving me the opportunity to receive this scholarship, to the knowledge of the BBGS, I certainly did not expect to receive an offer from the jpa and indeed I feel very guilty because became a troublesome to BBGS. 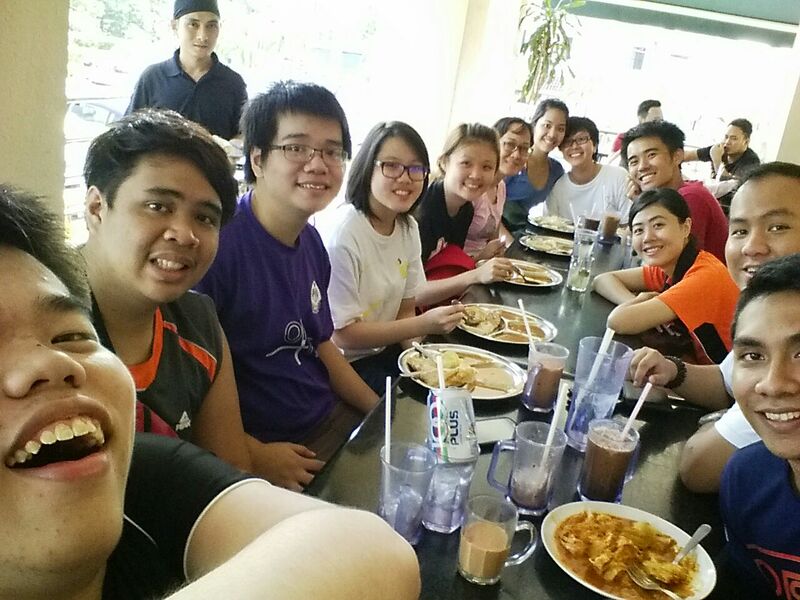 I’m terribly sorry and once again I would like to thank the Alumni BBGS Berhad. Good service and help from the BBGS will not be forgotten. Hopefully I can help BBGS someday. Thank you for the wishes. I will try my best to become an excellent student. But, i will never forget all the helps from BBGS and i hope someday i will help back BBGS. 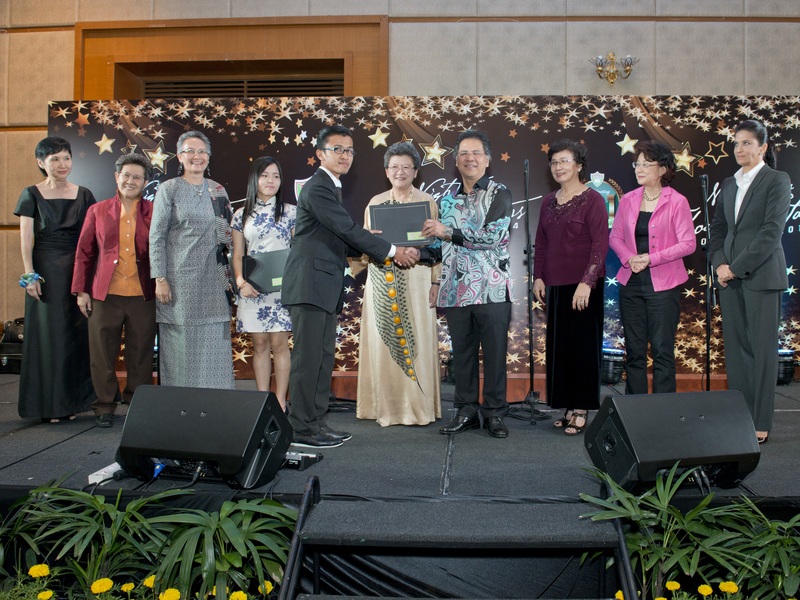 At the BBGS 121st Anniversary dinner, there was another student who received her Elena Cooke Education Fund scholarship award from YB Dato Sri Idris Jala – a pretty girl in a cheong-sam, named Chan Li Xuan, who is pursuing a degree in Accountancy in Universiti Malaya. Her father is a tailor back home in Nibong Tebal in Pulau Pinang and there are two other siblings who are in need of her father’s financial support for their education. At the same time, there are other constraints on her father’s finances. As she knew her father would be unable to support her after Form 5, Li Xuan found work as a waitress in Penang for 4 months after her SPM exams and as a clerk in Petaling Jaya for 2.5 months after her Matriculation exams. With the money saved from working, she was able to support herself throughout her Matriculation studies (which were in Perlis). 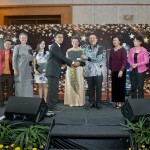 Li Xuan is an excellent student, scoring 6A+, 2A and 1 A- in her SPM and 6As in Matriculation. Determined to be an accountant, she aims to do the ACCA professional exams after graduating with her degree. 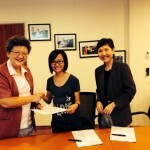 Our ECEF scholar in the University of Malaya, Chan Li Xuan, is pursuing a 4-year degree course in Accountancy. During her 1st semester exams, she achieved a creditable CGPA of 3.39. Li Xuan stays in the University’s hostel on campus and has found a friend in her room-mate, amongst others. A sports-lover, she plays basketball and has represented her hostel in the game (she must be a very good player to be in the team, since she is not particularly tall !). 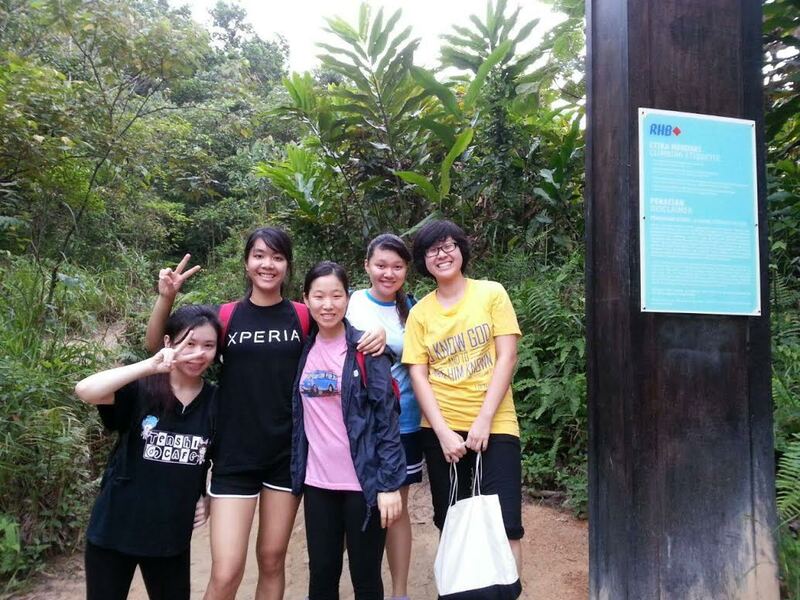 Li Xuan recently sent us these 3 photos – 1 with her basketball team-mates, and 2 with her course-mates during presentations which they were required to make as part of their course. 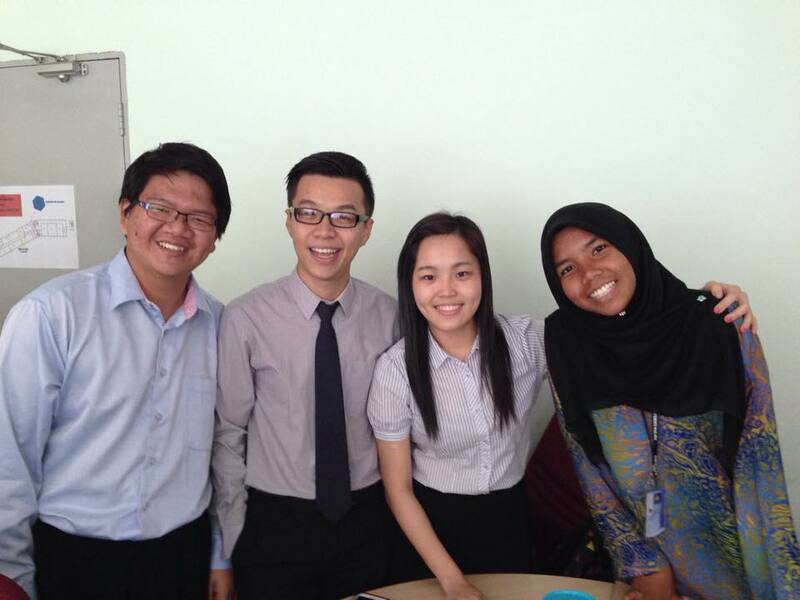 Chan Li Xuan, from Nibong Tebal in Pulau Pinang, is pursuing a 4-year degree in Accountancy in Universiti Malaya. The Elena Cooke Education Fund pays her University fees and also gives her a living allowance. During her recent semester exams, she achieved a commendable CGPA of 3.56. Hi . I have received the latest result which is GPA of 3.81. 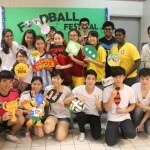 Hereby, I want to say thank you to everyone that helps in ECEF. Actually I always follow and get the latest updates in the official website.I am touched when I see the scholars increasing year by year. It means that ECEF is helping a lot of students to pursue their dream . I as a scholar of ECEF, genuinely appreciate to this fund, it really meaningful to me. I can still remember the moment I am offered by this fund 2 years ago, the joyousness still etched and imprinted in my heart. 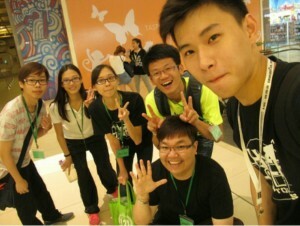 With helps from ECEF, I do very well and achieve successfully along my study life. Although my family was not able to attend the ceremony, but they are feeling thankful for ECEF. In the same time, they always remind me to give feedback and contribute to ECEF and our society after my graduation.